Last night, I had soaked moong dal (split green gram) for making Cheela for breakfast. 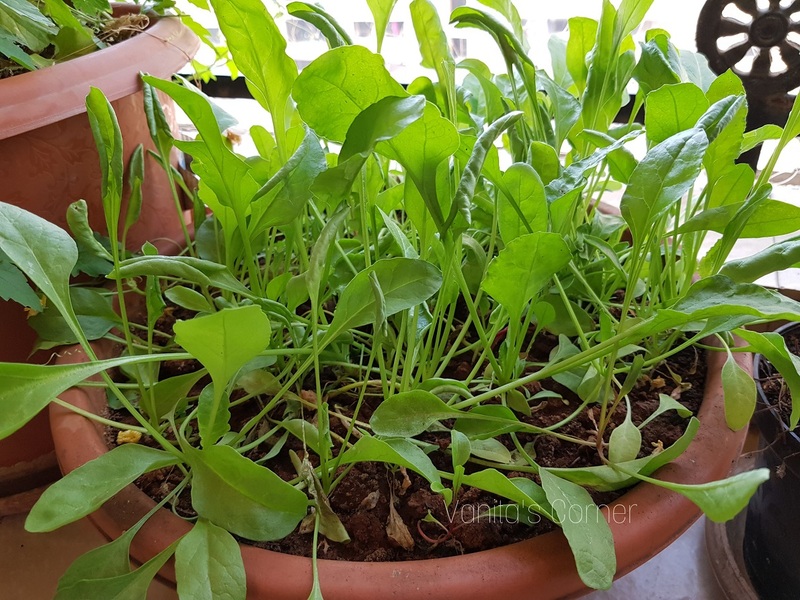 Today, when I was getting ready with all the ingredients for making cheela, I suddenly remembered that I have palak (spinach) growing in my kitchen garden, ready to be harvested. So, I decided to added spinach in the cheela today, thus increasing the nutritive value of the humble cheela. Spinach (Palak)and Green gram (moong) are both rich in nutrients. Palak and moong make a good combination when it comes to paratha, sabzi, cheela etc. 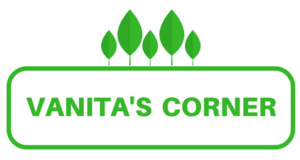 I have already shared the recipe of Moong Palak Paratha in this blog. 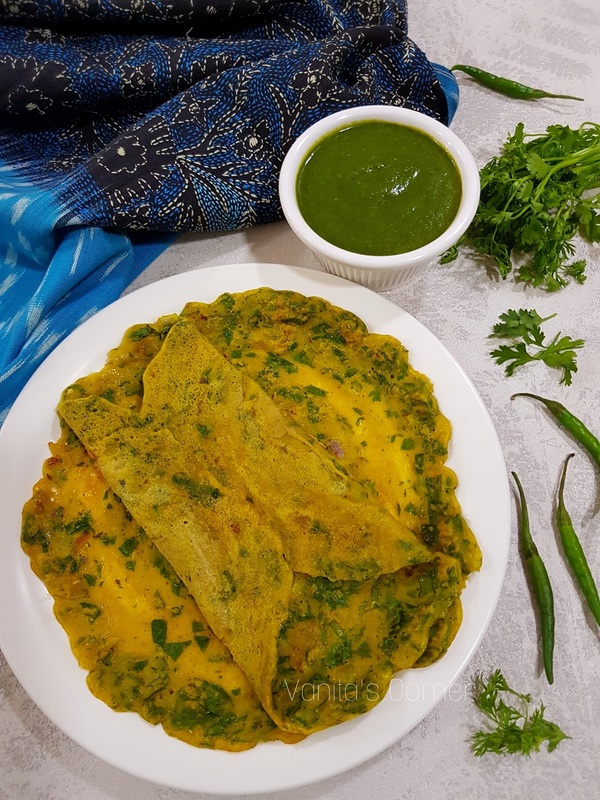 Let’s have a look at the recipe of Moong Palak Cheela. Wash and soak moong dal in water for 4 to 5 hours. Strain and grind alongwith chillies, ginger and little water to a fine paste. In a mixing bowl, add ground moong dal, chopped spinach, chopped coriander leaves, chopped onions, cumin seeds, red chilli powder, turmeric powder, cumin-coriander powder, salt and mix well. Add water as required, to attain a flowing consistency. Drizzle little oil around the edges and cook on both the sides. Serve hot with mint coriander chutney.